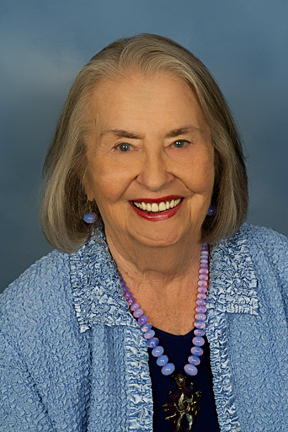 Dr. Jane Claypool founded the Center For Spiritual Living in Carlsbad, California in 1989. During her years as a minister, she trained over 35 ministers in the field, wrote much of the training curriculum for Religious Science International, now known as Centers For Spritual Living. She served on the RSI Board of Education and Board of Directors. In 2002, RSI gave her the Raymond Charles Barker Award for her spiritual writing. Spiritual and Self-Help books she authored include: Wise Women don’t worry – Wise Women don’t sing the blues, Science of Mind Skills, Science of Mind Skills Coloring Book, and New Thought – New Woman. She also wrote over 80 books for teens and was chosen as Writer of the Year in 1981 by the Society of Children’s Book Writers. Her writing names were Jane Claypool Miner and Veronica Ladd. Her best selling book, Dreams Can Come True, sold over a million copies and was translated into seven languages. Her former careers include teaching, real estate broker and freelance writer. Most of the art work featured in this blog are by her. Dr. Claypool was well known for her encouraging and nonjudgmental approach to spiritual counseling and teaching. Please enjoy her blog. Explore her books. Have fun learning about this wonderful thing called Life, as you move forward joyfully with love and wisdom. You can learn more about Religious Science and the Science of Mind at http://www.CSLCarlsbad.org or www.CSL.org. I started to write you a messasge and I did something and it disappeared. Anyway, I was saying, yes I’m Mary Beth’s sister, and I thought you wrote the Wise Women book. I was in a Sat morning workshop at Mary Beth’s church in Sierra Madre years back, and we used your book. It’s an honor to meet you and be here on your blog. Love and Blessings on your day, Dear Friend! I’m glad you like my WiseWoman book. There are still a lot of groups and workshops going on in a variety of places. Yes, I have written about 80 teenage books (almost no illustrations) and a couple of books for 4th&5th graders but never have done a picture book. Picture books are a whole different world that I know little or nothing about. You could make contact with your local Society of Children’s Book Writers and they have a section especially for illustrators. I’m sure you would get the information you need and make contact with the right people. If you want more information, contact me at WiseJane@aol.com and best wishes. I love reading your blogs but especially wanted to comment on prayer partnering. I have been prayer partnering for about a year now and it has been amazing. I very much look forward to our calls. Yes, prayer partners serve a real need for safe connection and deep spiritual work. I am happy you have a good partner and I wish you all the best. You and John are two wonderful people and I wish we saw more of each other. Hi Dr. Jane. My friend and I work as expressive art teachers and are interested in doing a workshop in you book Wise Women Don’t Worry, Wise Women Don’t Sing the Blues. We plan to do a weekly body collage series working a chapter at a time. Please let us know if this is okay with you. We are located in Southern California. Thank you in advance for your response. Dear Jane, thank you for the blog on Emerson and Holmes. I saw that someone corrected the dates of Ernest Holmes’ life for you, and there were a couple of more items I wanted to ask you about, or correct. 1. Ernest’s father was very much in the picture of his life (not absent). 2. On occasion Holmes did get upset, unfortunately he kept it mostly inside and fortunately, he knew and practiced how to overcome the upset quickly. 3. Asian leaders – the only one I am aware of was Tanaguchi and I believe that was later. Dr. Hornaday was the man that Tanaguchi knew. However, I’m not sure at this moment what year they originally met. 4. Asian religions – Holmes was fascinated and studied all religions especially those that related to Christian. 5. If you list any links on your website would you consider adding http://www.somarchives.org ? I think your following would be interested in the availability of materials. And thank you for all the excellent work you have done over the years, including your dedication to the Archives and your book about Dr. Holmes’s life. I will be happy to post a link to the archives as soon as my techie person helps me do it. In the meantime, if anyone reads your comment he or she will know how to get it. Your other questions and comments are most appreciated. I will be happy to answer them at length on an email. Meanwhile, please know that we all appreciate your wonderful work. I’m a student at CSU Long Beach and I’m writing a portfolio about Science of Mind and family communication. I was wondering if I could get some of your insight on the topic, as there are not a lot of scholarly journals in this field. Feel free to e-mail me, or simply respond to this message if you are willing and able to help! I hope you are doing well and your rehabilitation is going great! Collecting and buying interesting books is what I like, those that get my attention and that’s how I found yours. I bought it several years ago, and has gone unread just like the rest, except the children’s books. But because of where I’m at in my life, it motivated me to actually open the book and by reading your “Author’s Note” and the good points written that hit straight home has sparked me to want to stick to reading your book to the end! !